I recently had someone leave a link to a wonderful post on my Facebook page. The post was written by Marianne Russo, President and Host of The Coffee Klatch and she also writes a blog called The Life Unexpected. (I encourage you to check them both out. Great stuff.) Marianne ends each of her shows with this statement: “You are your child’s best advocate, if not you then who, become an informed, educated parent”. She considers herself a Parent advocate meaning you advocate for your child and she will help you, the parent , do it. Her post was moving and many parts of it struck a little too close to home for me. I could really relate to the whole survival mode, hanging out at parties to make sure it is okay and the plead to make sure that others really SEE our kids! Because she wants to get her words out to everyone she has allowed people like me to post it to our personal blogs in its entirety. I still encourage you to click the links above though and check out her stuff. Thank you Marianne for putting into words what so many of us feel! I am the parent of a special needs child. I was overwhelmed, confused, heart broken and struggling to unravel the complexities before me. Please do not pass judgement of me without knowing why I did not attend the school PTA breakfasts or community picnics. Please take a few minutes to understand why I did not take you up on your offer to have lunch or grab a cup of coffee. Although we see each other in the supermarket or at school functions, I don’t think you really ever knew me, actually, I can guarantee that you did not know me because just as my child was different, so was I.
I was in survival mode to keep my family in tact and to give my child the best quality of life possible. I was presented with parental decisions that have torn me apart and kept me up more nights than I can possibly remember. I had spent most days of the week at therapy and doctors appointments and most nights up researching treatments and medication options. I was forced into isolation at times due to the stigma and misconceptions that are epidemic in our society. I became proficient at prioritizing my life and learning to let the little things go, to look at others with compassion instead of tabloid material and to turn a blind eye to the stares or ignorant comments. I am one of the lucky ones, my child has blossomed and has exceeded all our expectations. I have now become strong, I have become confident and I have become a fierce advocate for parents of special needs children. The growth did not come without much pain and many tears but it came. The next time you see a parent struggling with a raging child, a child terrified to go into school, a child making odd movements or sounds, a child that seems to be in a world of their own… .Be kind. Give a smile of recognition for what that parent is going through. Ask if there is anything you can do to help, give them a pat on the hand or offer for them to go ahead of you on line. The next time you have a birthday party for your child remember that their child has a hard time with a lot of sensory issues and social situations. Please send their child that invitation and know that more times than not they will not be able to attend but appreciate being included. Understand that in order for their child to go to the party they may need to stay for a little while and please make them feel welcome. When they let you know that their child cannot make the party consider inviting that child for a one on one playdate or an outing at the park. The next time you are grading homework papers please understand that their child struggles, some with learning disabilities others with the exhaustion of their disorders or the obsession with perfectionism. The Perfectionism is not necessarily to have the answers right but to have it “feel” right for them. They have spent hours doing what most can do in ten minutes. A paper returned with red circles and comments only hurts a child’s self esteem and causes school anxiety. Please understand that when they see the school come up on their caller ID their hearts sink, remember to tell them about all the gains their children are making as well as their deficits. Take a minute before that call and know that they appreciate all you do and want a collaborative relationship in their child’s education. The next time you are in the teachers lounge, please do not discuss their child. Please do not make negative comments about their parenting or their child’s behavior, it gets back to them and it gets back to other parents in their community. The next time you pass the cafeteria and see their child sitting alone please consider inviting that child to eat lunch in your classroom and be your helper that period. Consider working with guidance counselor to set up a lunch buddy group in a different area. The next time they are at the CSE meeting planning their chid’s IEP know that they are educated, informed and confident knowing special education law. Know that they have found the courage to stand up to conformity and will explore every option to give their child the differentiated educated that will show their gifts and not just their disabilities. 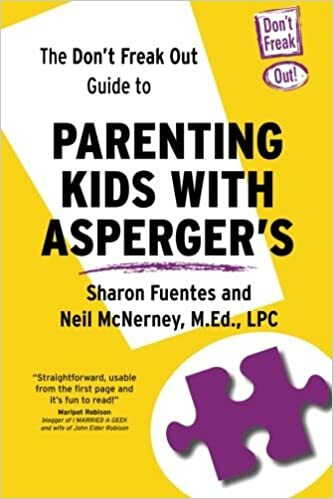 Understand that educating a child with special needs is one of the most difficult tasks a parent can face, know that the last thing they want is an adversarial relationship. Please show them the same respect they show you. The next time you are creating an educational plan please take into consideration that their child may have specific interests or obsessions. Foster those interests, instead of taking away that art class for a resource class consider adding an art class instead. Think outside the box, these parents do. The next time you see that child in a wheelchair unable to speak or control their movements, don’t stare, don’t look away, say hello. Do not assume that because this child is nonverbal that they are not intelligent or do not understand the awkwardness that you feel. Take a moment out of your day to show kindness, support a parent enduring incredible pain and just give them a smile. The next time your child comes home telling you how Johnny or Susie is so weird, take the time to teach about differences. Take the time to talk about compassion, acceptance and special needs. Please remember that your child learns from you. Be a role model, mirror respect and discourage gossip. The next time you hear a comment about how out of style these kids are, educate about tactile sensitivities and the fact that these kids cannot tolerate many textures and fits. Imagine what it would feel like to have sandpaper in your stilettos or tight elastic holding on your tie. The next time you see an out of control child do not assume it is bad parenting. Understand that many of these disorders have an organic basis, are biological and are real illnesses. When you hear the word mental illness, take out the “mental” and remember ”illness”. Know that it is this generation that can stomp the stigma and create a world of acceptance. The next time other parents are talking about “Those Kids” be our heroes, stand up for us. The next time you see a special needs child know they are not just special in their needs but in their brilliance as well. Take the time to meet our children. Take the time to know us.